One of the most exciting new areas of research in healing and the transformation of consciousness involves the use of sound. Like much of the “New Age” exploration, this is in large part a rediscovery of ancient technique and practices combined with modern research in psycho-acoustics and physiology. 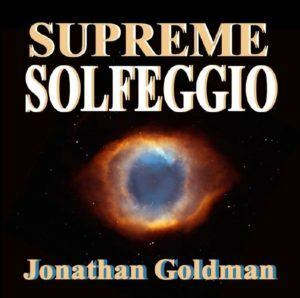 One of the leading teachers of the healing power of sound is Jonathan Goldman. 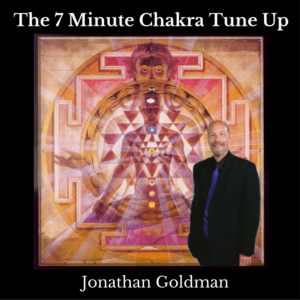 Jonathan is the director of the Sound Healers Association and the School of Sound, and is president of Spirit Music in Boulder, Colorado. He is the author of Healing Sounds: The Power Of Harmonics, one of the best new books on the subject. I spoke with Jonathan from his office in Boulder. RM: Jonathan, how did you get involved with the healing use of sound? JG: It began when I was playing guitar in a rock band in New England clubs in the late ’70s. One night I remember looking out at the audience and being quite aware that the music I was creating was contributing to an atmosphere of disharmony and imbalance. No doubt, the alcohol and many other factors were also contributing to this atmosphere, but for some reason on that night, I became aware that my music was adding to the anger and other negative emotions experienced by people in the club. I remember thinking, “I wonder if music could be used as a positive force to help people?” I never contemplated sound as a healing modality – that came later – but just the idea of using music to positively help people was enough to start me on this path. Soon after that, doors began to open for me. within a couple of weeks I was reading the available books on sound healing, listening to soothing music, and attending a workshop on toning lead by Sarah Benson, who has since become a beloved teacher and friend, as well as an artist on the Spirit Music record label I founded to produce therapeutic and transformational music. I also founded the Sound Healers Association, a non-profit organization dedicated to education and awareness of the uses of sound and music for healing. SHA held monthly meetings which featured some of the foremost international authorities on using sound for healing. RM: Who were some of these people? JG: Dr. Peter Guy Manners, the creator of the Cymatic instrument, which uses direct application of sound on the body for healing; Randall McClellan, author of The Healing Forces Of Music, composer and author Steven Halpern; Don Campbell, another well known author/composer; and Joanne Crandall, author of Self-Transformation To Music. We held these meetings for over five years, so this is only a partial list of some of the extraordinary people who came and freely shared with us. Later on, I received a Masters Degree from Lesley College researching the uses of sound and music for healing. Much of the material I utilized came from information received at the Sound Healers meetings. It was a wonderful education. RM: How do you use sound in your own practice? JG: There are so many different ways that sound can be used, from simply creating states of deep relaxation and meditation, to actually resonating and releasing area of imbalance in the physical body and etheric fields. Perhaps the most important use of sound that I work with is something called “vocal harmonics” and “overtoning.” The former is the ability to create two or more notes at the same time. This is an ancient technique utilized in various spiritual and shamanic traditions, including Mongolian shamanism and Tibetan Buddhism. These vocal harmonics can resonate the physical body and the etheric fields; they can also vibrate different portions of the brain, which is quite extraordinary. Esoterically, vocal harmonics may be used to attune with different spirits and deities. Overtoning is another, more advanced, aspect of this in which we can learn to project these harmonics to another person on whom we are working. Just as you can project healing energy through touch, as in reiki, you can do the same with your voice. This is what overtoning is all about – learning to project sacred sounds for healing another. RM: Can anyone learn these techniques? How are they taught? JG: I believe that almost anyone can learn to create vocal harmonics and produce two or more notes simultaneously. Overtoning is actually quite natural, and can also be easily learned (or, perhaps I should say rediscovered, since I believe we’ve just forgotten how to do this). I teach both vocal harmonics and overtoning in my Healing Sounds seminars. The first day of the seminar is spent learning how to open our ears, our voices, and our consciousness to the fascinating world of harmonics. We learn to work with vowel sounds, which are a key to the creation of vocal harmonics, in order to resonate and balance our physical bodies and our chakras. After that, we listen to different examples of vocal harmonics to train our ears to this aspect of the sonic spectrum. Then I share techniques of creating vocal harmonics and we practice theses. Usually, by the end of the first day, everyone in attendance is able to gain some ability to create vocal harmonics. Most people find this first level of the Healing Sounds Seminar to be quite transformative as well as fun. It’s a bit like removing sunglasses and seeing the full spectrum of light, only in this case, we begin to perceive a fuller spectrum of sound that affects the way we hear, speak, sing, and indeed, the way we perceive reality. The second day of the seminar begins with preparation for becoming vehicles for sacred sound, for this is necessary in order to do overtoning. In my book, Healing Sounds, there is a formula which I believe is quite important. Frequency + Intention = Healing. That is, the energy behind the sound is of equal importance to the sound being created. The first day is devoted more to opening up to the frequency level of the sound healing process. The second day focuses more on understanding how we may become clearer channels for projecting the intent and energy of the sound we will be using in overtoning. This is what I mean by “becoming vehicles for sacred sound.” The sound does not come from us, but through us. After this, I share the technique of overtoning, which is a method of scanning the physical body and etheric fields and then projecting sound in order to create balance. Overtoning is not difficult, although it is quite powerful. Once again, I believe that this sound work is quite natural and simply a forgotten ability that we are now ready to rediscover and reclaim as another aspect of our own innate healing powers. RM: What is the difference between working with sound alone and using it in a group? JG: Working alone with a technique such as vocal harmonics, you can learn to resonate and vibrate different parts of the body, the brain, and the etheric fields. It’s a great way to tune yourself up daily, or to balance problems you may be encountering. Through sounding by ourselves, we can truly learn that we are vibratory beings who can change and tune into other energetic sources by using the power of our own voices. If we take the time to sound alone we can discover an extraordinary amount about ourselves and the universe. Using sound in a group can create the same experience of tuning to higher forces. At the same time, you are resonating with a group, attuning with others and the synergistic effect is quite powerful. When two people create separate harmonics, a third harmonic occurs; this third ghostlike tone which appears from seemingly nowhere helps create a sonic mystical experience in the group setting. RM: What do you see as the future direction for sound healing in general and your own work in particular? JG: The psychic Edgar Cayce predicted that the future medicine would be sound. I think this is occurring now. When I first began this work over a decade ago, there were very few people involved. Now, people from all walks of life and many different professions are beginning to appreciate the power of sound and music to heal and transform. Sound and music are being used in traditional fields to enhance learning, treat stress and pain, and to bring healing. The use of ultra-sonics in hospitals to destroy kidney stones, for example, works with the principle of resonance, which is the basis of sound healing. I am a member of several different scientific and medical organizations, such as the International Society of Music and Medicine and the International Society for the study of Subtle Energy Medicine, which are now exploring sound as a healing modality, including its use to affect our emotional and mental wellbeing. There is also a lot of private scientific work going on investigating the use of sound to affect the brain and the physical body. Some of it is very exciting and may prove to be groundbreaking in the fields of health and education. The potentials are nearly limitless and quite positive, if the technology is coupled with a conscious understanding of the importance of intent and the sacredness of sound. As far as my own work goes, I am most interested in continuing to teach others how they may use their own sounds for self-transformation and healing. We are entering times of extraordinary vibratory changes and it is important to be able to work with out own vibratory fields to be in harmony and balance with these changes. The simplest and most effective way to do this is with our own sounds.